A Harvest Table Right From The Farm! 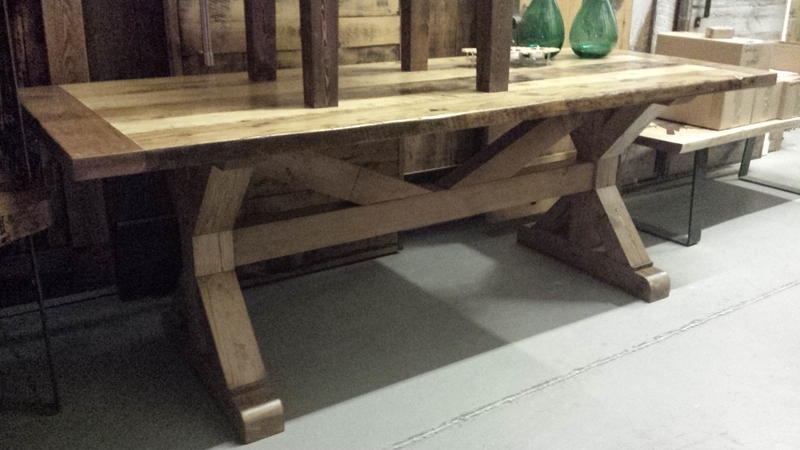 This harvest table sports a base made from resawn barn beams and a table top made of barn threshing floor boards. 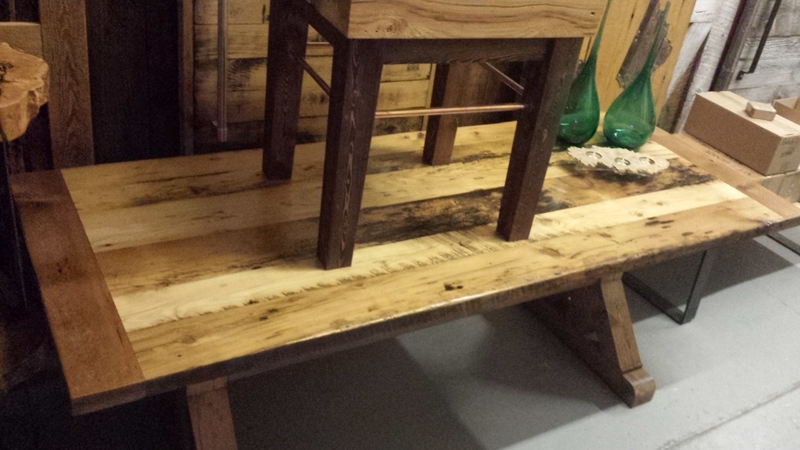 It’s completely made from antique barn wood about 115 years old. 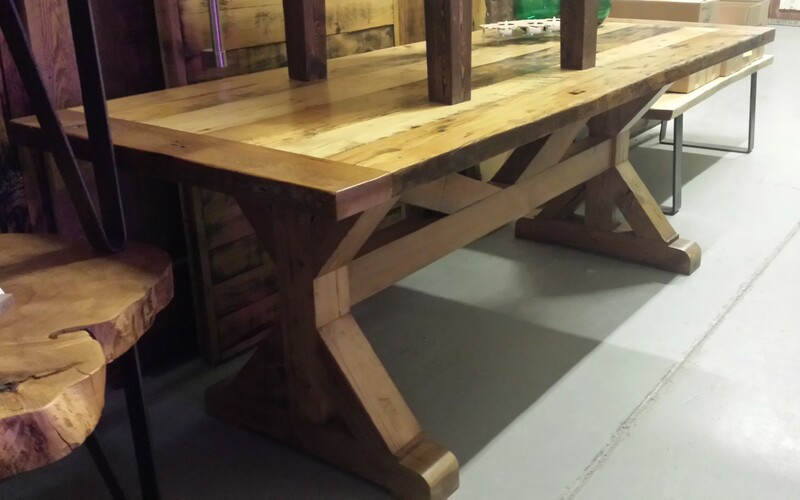 If you want more information about our dining tables…give REBARN a call at 647-968-4004.